In a Web promotion similar to a scene in the “Hangover,” Hotels.com is urging people to cast themselves in their own hotel high jinks by replacing the actors’ faces with those of themselves and their friends to create outrageous videos. The New York Times recently reported on the campaign’s engaging online antics. “We wanted to produce something where people could put their faces into live action, which I don’t think has been done in a campaign before, and it certainly hasn’t been done in our category,” said Vic Walia, senior director for North America brand advertising at Hotels.com, which is owned by Expedia. The campaign is built around a site called TripYourFace.com, which allows visitors to upload a photo from a Facebook profile, as well as profile photos of up to three friends. Users select the actors to superimpose the faces onto, then crop the uploaded faces and adjust them to match the faces of the actors. 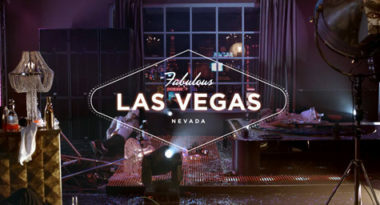 Then, these images are displayed on a screen that features a chaotic hotel room in New York, Paris or Las Vegas. The final scene includes a playback button which prompts a video “flashback” to help make sense of the incident. The finished scenes can be posted to Facebook profiles to engage viewers and hopefully drive visitors to TripYourFace.com. While the digital campaign is more technologically sophisticated than earlier similar efforts, some critics say it is lacking the simplicity it needs for success. The process requires numerous cropping, color and lighting adjustments, and it take five minutes to upload a single photograph. The finished video calls for dozens of mouse clicks, which may lead to a high drop-off rate. Despite the complexity of the campaign, Hotels.com believes that the end result is well worth the effort and that the thrill of appearing in a video will click with users. MDG Advertising, a full-service Florida advertising agency, with offices in Boca Raton and New York, NY, specializes in developing targeted Internet marketing solutions, exceptional creative executions and solid branding and media buying strategies that give clients a competitive advantage. Our core capabilities include print advertising, branding, logo design, creative, digital marketing, media planning and buying, TV and radio advertising, customer relationship management, loyalty programs, public relations, Web design and development, email marketing, social media marketing and SEO. View MDG Advertising’s creative marketing portfolio.